Senior officers in the Army, Air Force, and Marine Corps with a pay-grade of O-7 and above are known as General Officers. The Armed Forces of the United States is comprised of both enlisted service members and officers. Officers in the U.S. military are usually employed in management type roles where they are responsible for overseeing many subordinate enlisted service members. In addition, military officers are also required to hold college degrees, sometimes in highly specialized fields such as a lawyer which allows them to hold JAG officer roles.There are two exceptions to the college degree requirements: Limited Duty Officers and Chief Warrant Officers are not required to hold college degrees initially, but they will need to acquire a degree if they wish to continue to promote. Within the officer ranks there are two types of officers: Commissioned Officers and Warrant Officers. A Commissioned Officer holds a higher status and are the most common type of officer found in the U.S. military. A Warrant Officer, on the other hand, is a more highly skilled, technical officer whose status is above the most senior enlisted ranks but is subordinate to Commissioned Officers. Many officers in the Armed Forces generally receive their commission through either a service academy, such as the United States Military Academy, Reserve Officers’ Training Corps (ROTC) programs, or through Officer Candidate School (OCS). Once an officer receives their commission they enter the pay grade of O-1. The U.S. military officer pay grades are grouped into three tiers ranging from O-1 to O-3, O-4 to O-6, and O-7 and above. Officers that fall within the first pay grade tier are knows as company grade officers while officers in the second tier are called field grade officers. Officers with a pay grade of O-7 and above are called general officers. While the pay-grades for officers stay the same across the different branches of the U.S. military the titles within each branch can occasionally be different. For example, an O-7 General Officer is typically known as a Brigadier General in the Army, Air Force, and Marine Corps, but in the Navy (or Coast Guard) they are called Rear Admiral Lower Half. However, each branch has the same rank insignia of one star to denote the Brigadier General title. 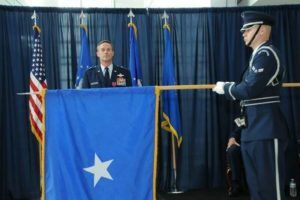 A two-star general officer holding a pay grade of O-8 is called a Major General in the Army, Air Force, and Marine Corps. In the Navy and Coast Guard this rank is known as a Rear Admiral Upper Half. The next higher rank (O-9) is a three-star general who holds the title of Lieutenant General in the Army, Air Force, and Marine Corps, but is known as a Vice Admiral in the Navy and Coast Guard. The highest rank, O-10, is known as a General in the Army, Air Force, and Marine Corps. This rank holds the most senior position in each branch of the U.S. military. For example, four-star generals may hold the title Chief of Staff of the Army, Chief of Staff of the Air Force, or Commandant of the Marine Corps depending on which branch they serve. In the Navy and Coast Guard though an O-10 is known as an Admiral. An Admiral in the Navy can hold the role of Chief of Naval Operations while in the Coast Guard they can hold the role of Commandant of the Coast Guard. However, one thing to keep in mind is that within each branch of the U.S. Armed Forces there are a limited number of four-star generals. In addition, the U.S. military reserves one additional higher distinction among the commissioned officer ranks. The title and rank insignia are reserved for wartime only, and are only used by the Army, Air Force, and Navy. During a time of war certain commissioned officers may assume the title General of the Army, Fleet Admiral (Navy), or General of the Air Force. The rank insignia is five stars which forms the shape of a pentagon when worn of the uniform. The U.S. military has several ranks and pay-grades for both officer and enlisted service members. Whether enlisted or officer each rank comes with its own responsibilities and challenges, but each service member regardless of rank contributes to the overall success of the U.S. Armed Forces.